Its been bunny-watching central around our little house lately. I had to pause before pulling the car into the driveway the other evening to let two silly buns chase each other across the street and I usually get a cute bunny-grass-snarfing glimpse or two any time I peek out the little window over our kitchen sink. Joey and I have taken to sending each other text message updates on what the bunnies are up to when one of us is not at home. “Bunny is out front” was one I got the other day as he was leaving for work. Bunny-watching, it seems, is pretty hard work when it comes to capturing and sharing these sweet little moments with others. I tried so hard to take a video to send to Joey when he was in Sweden a few weeks ago. Two buns were just chasing each other in circles around our back yard for almost an hour. Unfortunately, I couldn’t get close enough to capture the cuteness. 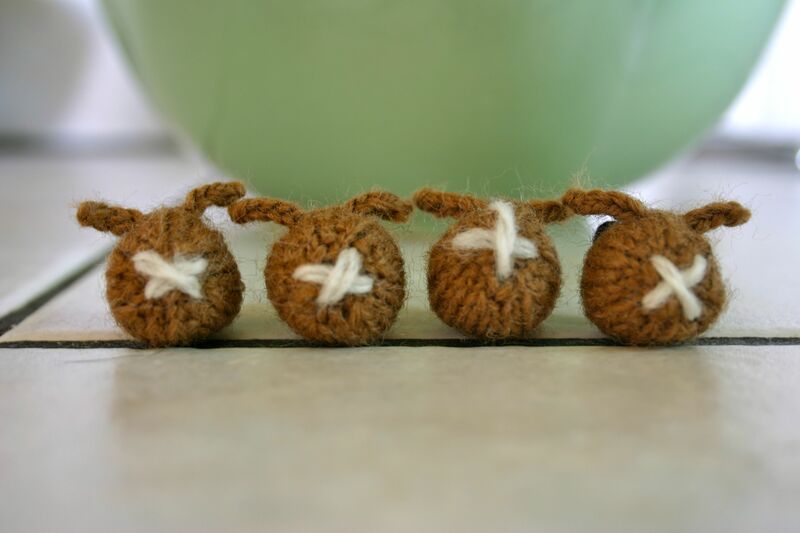 And wouldn’t you know, even knitted bunnies are hard to snap shots of. 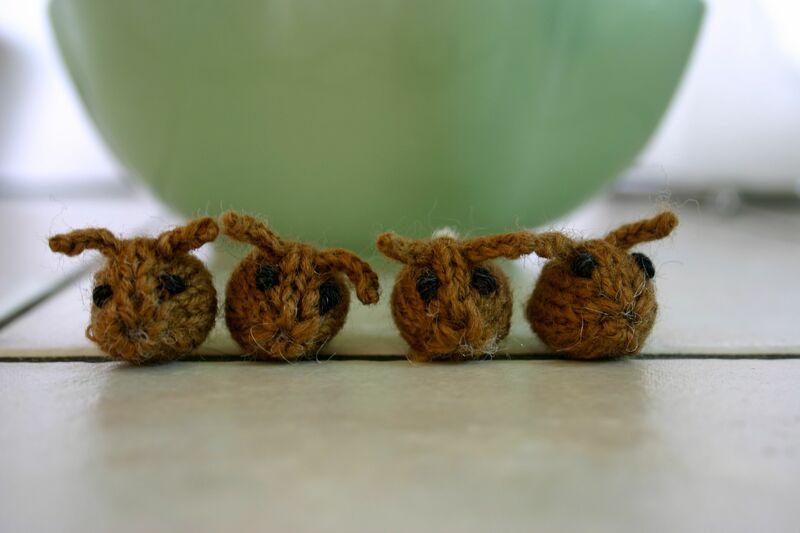 I was only able to get two quick pics before these little buns hopped off a new home with my niece and nephews.